Helping you make the most of what you have and going some small way to being a bit more self-reliant. Be it a window box, patio or small domestic garden we will show how to maximise home production, and eat your own fresh produce. Tutor: Wade Muggleton, Countryside Officer, fruit fanatic and permaculture gardener. There are lots of reasons to graft, the joy and satisfaction of working with nature, the ability to save ancient trees, creating the perfect tree for your garden or making a family tree. The possibilities and uses for grafting end with your imagination! Conservation of ancient trees: Trees which may have been damaged or coming to the end of their natural life can be pruned and cuttings grafted to young root stock. The result, many new, reinvigorated trees to plant and give away. Heritage varieties are saved this way and from one tree whole orchards can be produced! 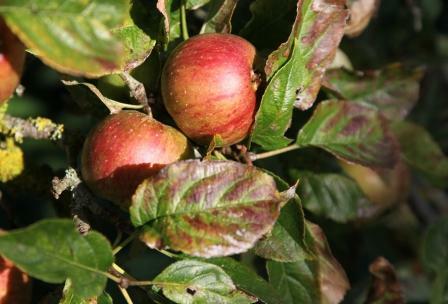 Garden or Orchard Trees: Whether you work on a community garden or orchard or you want to plant a tree or two at home, by selecting the right root stock (determines size) and scion (determines fruit or flower) you can create the perfect tree for your patch with fruit you like to eat growing to the size you can cope with. Family Trees: It’s not just single fruit trees either, by learning how to graft you can make Family Trees with any age specimen. Graft on lots of varieties and at the end of the season your tree will be dripping with cooking, eating AND duel purpose fruit all from one stem! Urban Veg is holding a grafting course for fruit trees with tons of practical learning on Friday 8th March. It costs £35 for the whole day (£25 if you are a part of a community garden/food growing group) and covers tuition, practice material, tea, coffee AND A FRUIT TREE OR TWO TO TAKE HOME! Enter your email address to follow URBAN VEG and receive notifications of new posts by email.